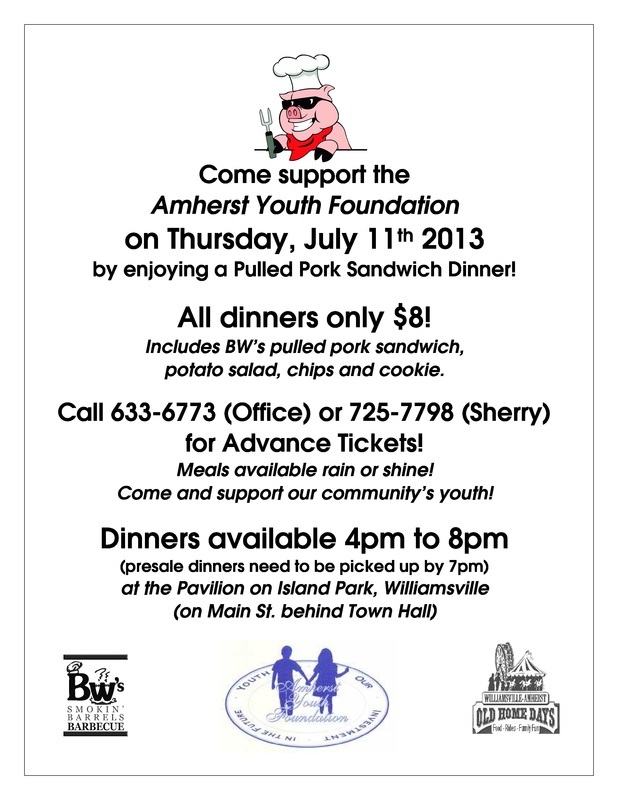 PULLED PORK DINNERS FOR SALE - Thursday July 11, 2013! with proceeds going to support youth programs right here in our community! Stop by during Old Home Days at Island Park and enjoy dinner for a cause! Call 716-633-6773 or meet us at Island Park on July 11th!